We are offering two $1,000 grants that are open for application to any AAC alumni. The grants will be awarded with the purpose of assisting with an artistic project or creative endeavor of any medium. The Art Academy of Cincinnati Alumni Association established this award as our highest honor. The Alum who receive this honor have distinguished themselves by the contributions they have made in their particular field or profession, in service to the Art Academy and to the betterment of humanity. All living graduates, other than active members of the Art Academy Board of Trustees and current employees working in the Alumni Affairs and Development departments, are eligible for consideration. We invite you to nominate a fellow alum you find worthy of the award. We will hold all nominations and supporting materials for three years to give each nominee extended consideration. Deadline to nominate is March 1, 2017. The Alumni Association is a resource to connect to the college with the thousands of Art Academy of Cincinnati alumni around the world. As President of the Alumni Association, I welcome you and invite you to become an active member. There are many ways to contribute: nominate a Distinguished Alumni, support the Alumni Scholarship, give to the AAC Annual Fund Drive to help the future artists and designers of tomorrow, or host an alumni exhibit or get together. Have other ideas on how you'd like to participate? Click the Stay Connected button below and share your thoughts. Update your contact info so we keep you informed of AAC events. The Art Academy of Cincinnati Alumni Scholarship is one of the most prestigious scholarships awarded by our college and is funded solely by AAC graduates to support AAC students. Full-time faculty members select the winner who must be a full-time sophomore entering his or her junior year. To see an example of art made by a recent winner, visit the lobby of our school. Genius comes in all shapes and sizes, but at the annual AAC Minumental Exhibition, no masterpiece can exceed two inches in any direction. That's what makes it one of the best and most beloved shows among AAC students, faculty and alums year after year. 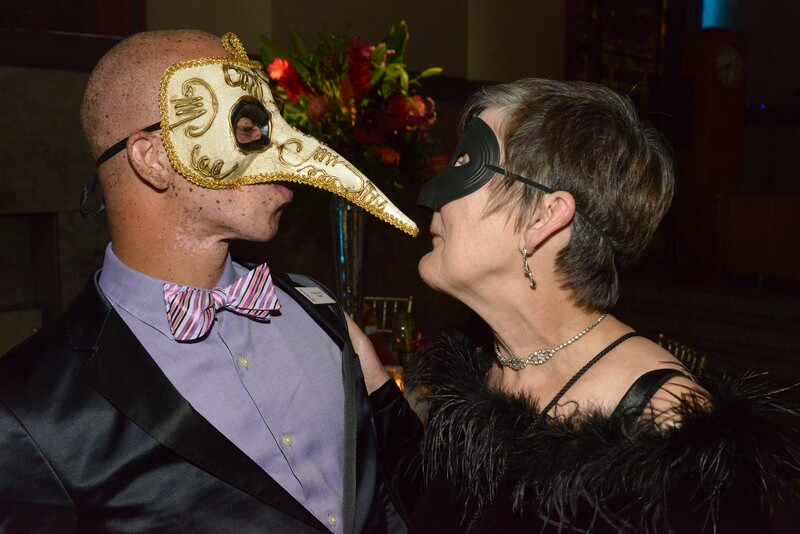 For decades, the AAC has carried on the Beaux Arts Ball tradition, originally inspired by art students at the National School of Fine Arts in Paris. The riotous revelry has been revived many times throughout the history of the event in Cincinnati, and over the years, it has been hosted in many different locales, including the old Art Academy building in Mt. Adams, the Cincinnati Art Museum, and the new AAC building on Jackson Street. To accommodate the large number of guests, the 2015 ball was held at the Verdin Bell Event Centre in Pendleton. The space was transformed into dazzling Venetian palazzo, thanks to the students and alumni of the AAC, who created original artwork and decorations inspired by the masked balls of Venice.